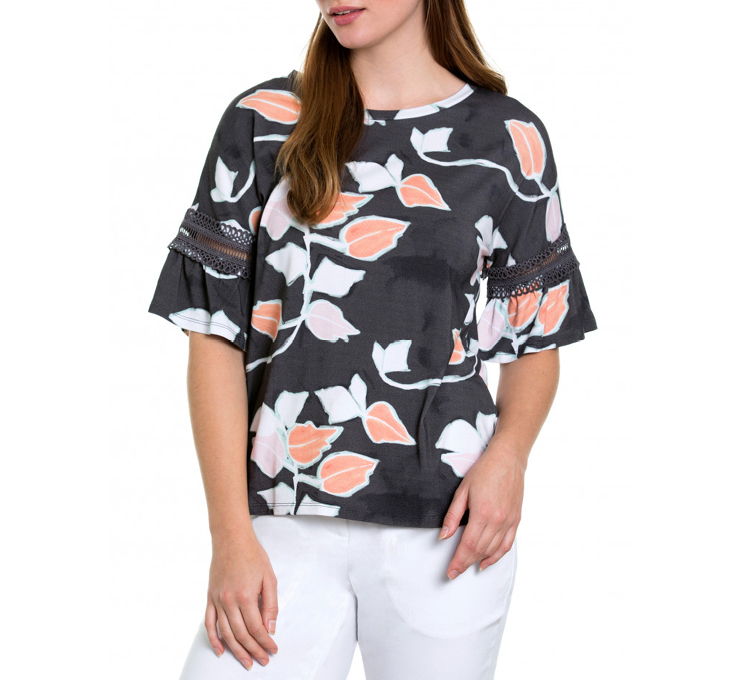 Delightfully modern yet feminine, this piece will brighten up your casual wardrobe. 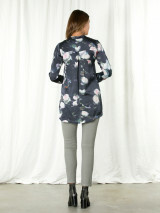 With a floral print throughout, it features long sleeves, a curved dip-down hemline and a zip front feature. 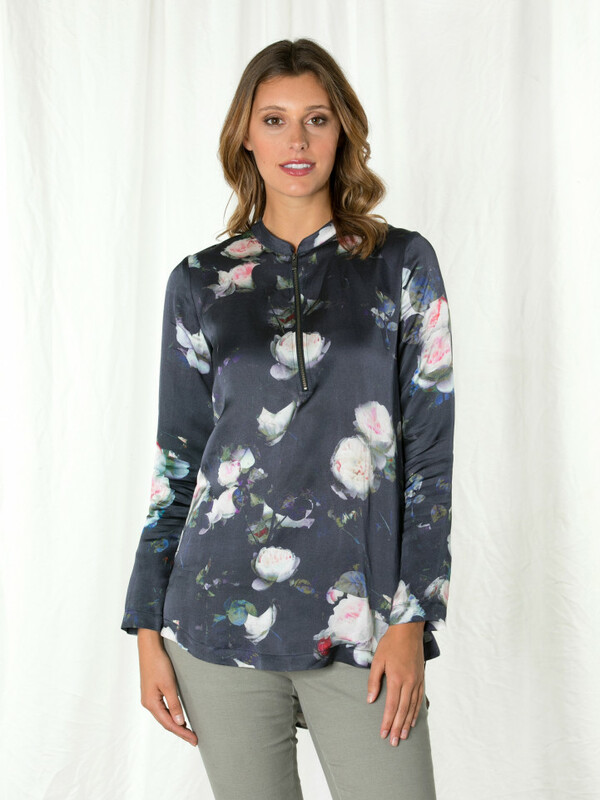 It's lightweight fabrication makes this an ideal layering piece under a coat or vest for cold weather.